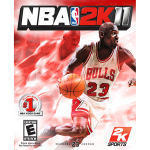 The latest file additions for NBA 2K11 PC feature new and updated releases from DaCrispy. In addition to V3 of College Hoops 2K, you can also find a handful of court updates for the 2019 season. Check them all out at the links below, and stay tuned as I’m still working on some NBA 2K11 projects of my own! Today’s file addition for NBA 2K11 PC is an NCAA Wilson basketball by DaCrispy, ideal for use with his previously released College Hoops mod. Download it at the link below! Download the roster here, and the artwork here. Please note that you must download both parts and place all of the files correctly in order for the mod to work. For more information, previews, or just to say thanks, you can check out the release topic here in the NLSC Forum. 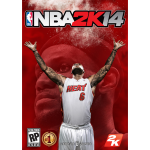 Before 2018 wraps up, let’s get caught up on some NBA 2K14 file additions! The latest releases include an update to U R Basketball (rosters accurate as of December 28th), a new beta version of a College Hoops mod, player faces, and 2019 season jersey updates. Check them all out at the links below! 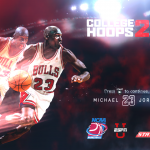 The latest file additions for NBA 2K14 PC include jersey updates, a new title screen, and NCAA rosters in the form of the College Hoops 2K19 mod. Download them all at the links below! The latest file additions for NBA 2K14 PC include an NCAA mod featuring the best teams from 2010 to 2018, and a handful of player faces. Check them all out at the links below! Today’s file additions for NBA 2K14 PC feature another big batch of face updates, including Legends, future prospects, and fixes for the NCAA Basketball 18 mod. Check them all out at the links below! The latest file additions for NBA 2K14 PC include more future prospect faces, a couple of faces for throwback players, and a new update pack for the NCAA Basketball 18 mod. Check them all out at the links below! The latest file additions for NBA 2K14 PC include player faces, and an NCAA court mod. Check them all out at the links below! Let’s tip off the weekend with the latest file additions for NBA 2K14 PC. Today’s releases include the newest version of URB 2K14, an update for NCAA Basketball 18, and some retro player faces. Check them all out at the links below! Today’s file additions for NBA 2K14 PC include a couple of retro player face packs, 2018 season player faces, and further updates to the NCAA Basketball 18 mod. Pick up all of the latest releases at the links below! Today’s file additions for NBA 2K14 PC include a brand new NCAA total conversion mod from DaCrispy, and a couple of new court updates from Jumpman2K. Check them out at the links below! We’ve reached our final batch of long-lost releases, and we’re wrapping things up with some mods for one of my all-time favourite games, NBA Live 06 PC. The files I found in my archives include JaoSming’s NBA Street 06 and lighting mods, and an NCAA mod for the 2007 season. 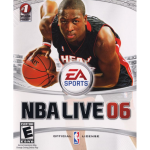 They’re in our Downloads section for safekeeping, so if you feel like dusting off NBA Live 06, check them out at the links below! 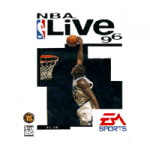 We’re going retro with a couple of new file additions for NBA Live 96. The first file is actually a new release, updating the SEGA Genesis version of the game as of the current season. The second upload is a mod that I found in the archives, and adds 1997 NCAA rosters to the PC version. If you’re in the mood for some retro gaming, check them out at the links below! Today’s file additions for NBA 2K14 PC feature a selection of updated releases, including logo and scoreboard packs, the FIBA 2K mod, and the retro NCAA seasons mod. Check them all out at the links below!